After 200 years of being out of sight, the music of German composer Christoph Graupner is being rediscovered and re-evaluated, with the help of NZSM Professor Donald Maurice. Christoph Graupner was a composer of Baroque music who was a contemporary of Johann Sebastian Bach and George Frideric Handel. Graupner’s entire collection of music manuscripts disappeared from view after his death in 1760 due to a legal dispute over the ownership of the music between his family and his employer, the Landgrave of Hessen-Darmstadt. The manuscripts have only since the 1970s become generally available and while some of the 1,500+ works have become significant and often performed in the Early Music scene in Europe, Graupner's name has remained unfamiliar to most performers on modern instruments. The November release of the film Christoph Graupner - viola d’amore and more featuring Donald as soloist sets out to change this. Launched at the 45th International Viola Congress in Rotterdam (November 22) and at the Landgrave Ernst Ludwig conference in Darmstadt (November 30), the film has made Graupner’s music visible. The performances of the four concertos of Graupner in the film were released separately during November on YouTube and received nearly 4,000 views by the end of the month. The film was shot in June on location at the 13th-century Owinska Monastery in Poland with Orkiestra Ars Longa of Poznan. An unexpected bonus for Donald while at Kranichstein Castle in Darmstadt was to play the viola d’amore from the collection of the Landgrave, the actual instrument that was used to perform these concertos nearly 300 years ago. The instrument was made in Darmstadt in 1714 by Johannes Georgius Skotschofscky. Graupner composed 49 works featuring the viola d’amore. It is not known for certain who played the instrument but it was probably Johann Jakob Kress, the concertmaster of the orchestra. Such is the significance of this recovery of Graupner’s music that the City Council of Darmstadt agreed to a request from Donald Maurice to erect a new plaque honouring Graupner in the central city, outside the Neues Rathaus, at 5a Luisenstraße. This is the street where Graupner lived while in the employment of the Landgrave of Darmstadt, Ernst Ludwig. 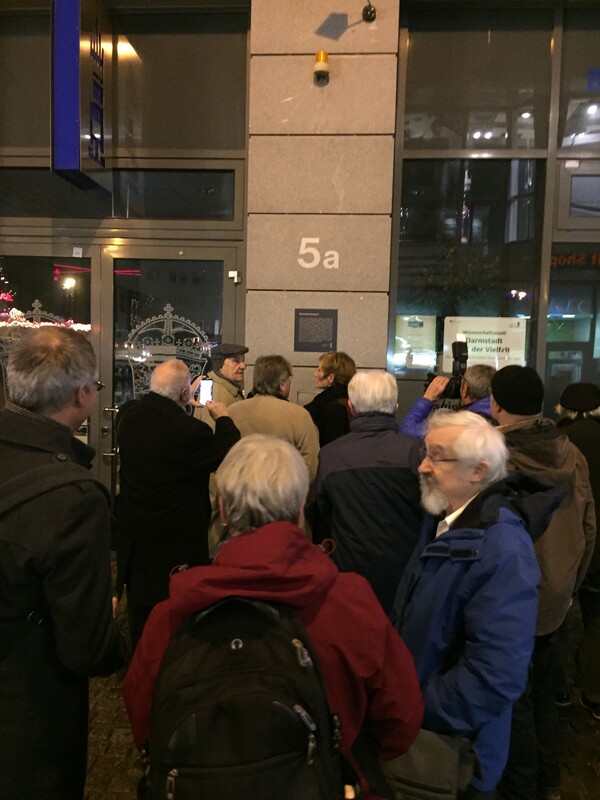 The unveiling of the plaque by Donald Maurice and the Mayor of Darmstadt on November 30, followed immediately after the launch of the film. The film Christoph Graupner - viola d’amore and more was made possible through funding from Victoria University of Wellington, the Adam Foundation, the District of Poznan and the City of Poznan.